With about 54 million passengers every year, London Bridge station is one of Britain’s busiest rail hubs and the oldest railway terminus in London that still exists today. Network Rail is delivering a government sponsored GBP 6.5 billion (CAD 12.3 billion) Thameslink program to transform north-south travel through London. 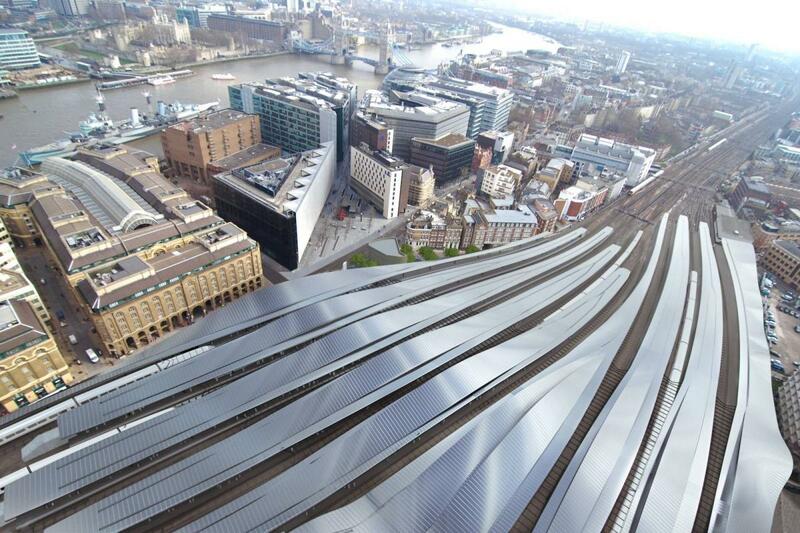 A part of the program is to completely rebuild London Bridge station. Arcadis and WSP | Parsons Brinckerhoff are working together in a joint venture to deliver the detailed design. The set of architectural, engineering and construction challenges on this project is truly unique. The most challenging aspect of the project is the fact that the station needs to be operational at all times. As Mark Middleton from Grimshaw Architects described, it’s like doing an open-heart surgery on someone who is jogging at the same time. To address long term passenger requirements, the track setup at the station needs to be changed: switching from six to nine through tracks and from nine to six terminating tracks. This might sound simple but it actually means that every track will need to change position. The station was initially built in 1836 and its Victorian arches were constructed in a five-decade period following the opening of the station. Some of the arches will need to be replaced with large bridge decks, but the public will regain access to the very early ones that were previously hidden from passengers’ eyes.